Fourth and Ten: Focus Walls in my Classroom! 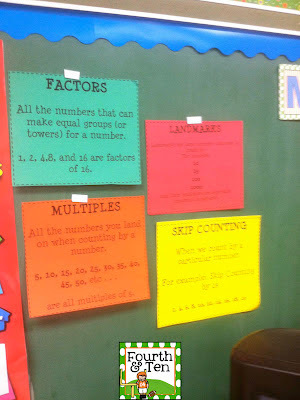 Even though they aren't common place in my district, I love, love, love having a focus wall. I've always had one for ELA, but this year I have one for math as well. 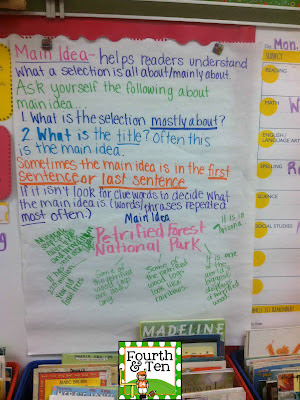 I love having a focus wall because everything we are learning for the week is visible and accessible! 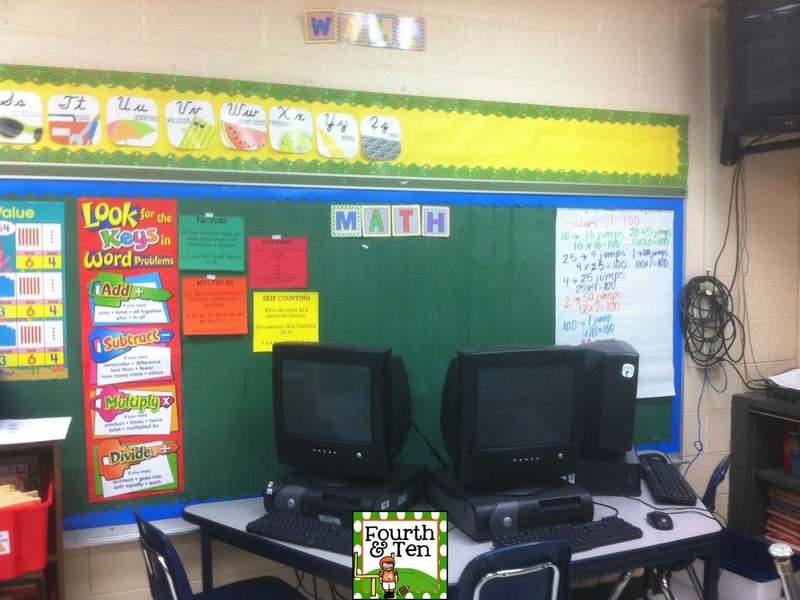 In my tiny classroom, I have a whole wall of blackboards in the back of my room. Yes, blackboards. One is covered in a dry erase contact paper, thank goodness, and they have become my focus walls. 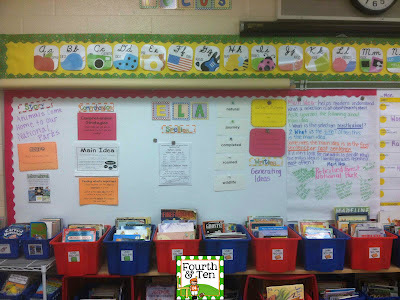 Having a designated space for these resources also keeps our tiny classroom more organized and a little less cluttered! The picture above is my ELA focus wall. It has our weekly story title, our genre of the week, our comprehension skill, spelling words, vocabulary words, authors purpose, and writing. Since my room is teeny tiny, I've been hanging up our class generated anchor charts for our weekly comprehension skill there too. Everything is super crunched together, but it works. 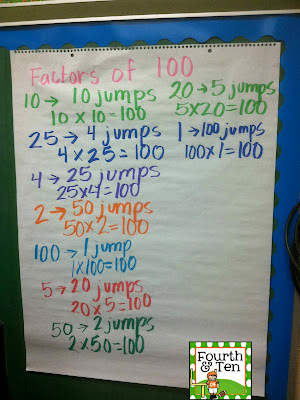 Man, I love a good anchor chart but I hate looking at mine sometimes compared to ones from other blogs/Pinterest! Oh well! I really love having everything together in one place. My focus wall reminds me so often to discuss author's purpose of our story with my kiddos and the type of writing it is almost daily. If these resources aren't hanging up, I'll forget! 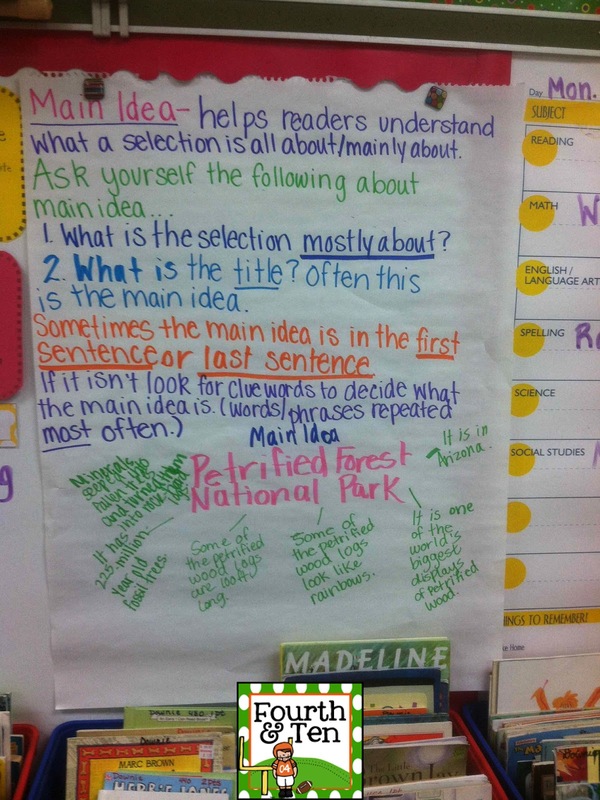 It's also a powerful tool for my students, but they are slowly learning that if they need to know how to spell a spelling word, it's on the focus wall. It's also powerful during pop in administration observations. Often they ask our kids what they are learning, I've had many a kiddo point to something on the focus wall when talking to an administrator. 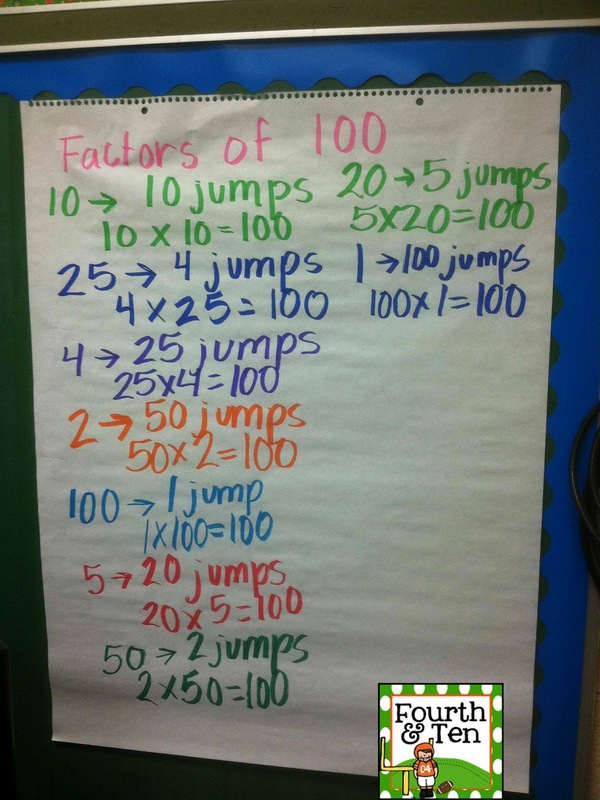 For math, we're still working out the kinks. I've always had math resources for my kiddos displayed (think 100s charts, key words posters, etc) but I've really been trying to put our current content vocabulary up and any anchor charts we've made together in our math focus wall space. Click to get 31 bags at 31% OFF! Where did you get the dry erase contact paper? Does it work really well?